Home English Can Germany keep its NATO promise? Can Germany keep its NATO promise? Berlin-the NATO has presented his budget plan: The Highlight is to be increased, despite the billions Haushaltsnot. The United States will not be enough. At last he arrived in Brussels: Germany’s Strategic-Level Report, an annual report to the North Atlantic Alliance (NATO), defence plans, military capabilities and security missions. As the last member country of the Federal Republic of Germany had submitted the report nearly a week before a scheduled NATO Meeting in Brussels. This national strategy should be discussed in papers between the Alliance partners. Germany has promised to increase the defense budget to 1.5 percent of the national gross domestic product (GDP) by 2024. That had been agreed between the NATO-members but at a target of two percent. US President, Donald Trump has threatened the Alliance partners, otherwise from the North Atlantic Pact to withdraw. Germany is notoriously under the Etatvorgabe, also because the GDP is increasing steadily. Currently, the GDP is ratio of its defense expenditure at 1.24 percent, is relatively low, in comparison to the other member States, it ranks in its actual spending but directly behind the United States, the United Kingdom and France. 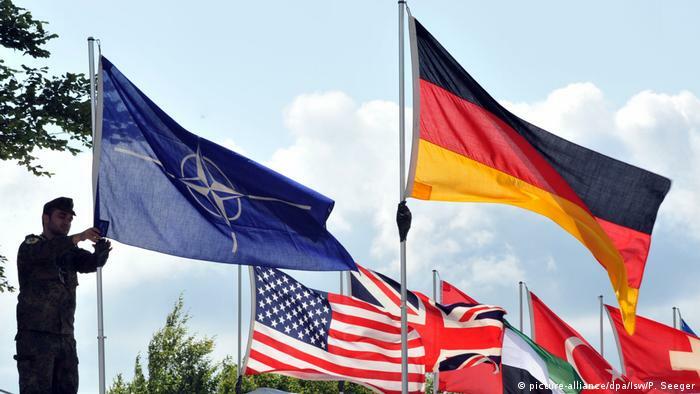 In his report to the Secretary-General of NATO, Germany will hold the 2014 summit in Wales adopted a Two-percent principle. For Germany, this is a lot of money.Because depending on the development of the domestic product, the Budget could rise for the armed forces at more than 60 billion euros. Already, the current budget of the Ministry of defence for 2019 43.2 billion euros. Down calculated on the proportion of GDP has increased only 1.18 to 1.24 per cent in 2018. The three-sided report could, accordingly, in the NATO Headquarters in Brussels and Washington for a lack of understanding. There, you requested specific information about how the objectives in the defence expenditure can be achieved. Security experts criticize the strategy of the Federal government. “I think it is a mistake that Germany has added to the Strategic-Level Report, no concrete Numbers because it has happened to Germany in the NATO singular,” said Carlo Masala, a NATO expert at the Bundeswehr University in Munich. 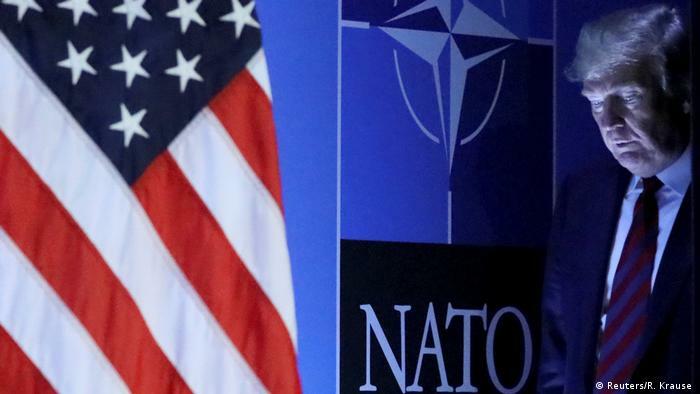 The US could denounce Germany as a “weak” Partner in NATO. Diversion or a new NATO strategy? But sanctions on the part of NATO. Germany knows how to use it. The Foreign office argued, one could not tire of the budgetary planning of future legislative periods.”These are political declarations of intent,” said Deputy Ministry spokesman Rainer Breul in relation to the NATO report. The budget will be decided in the Bundestag. “A Message ends at the NATO nothing.” Other countries take the commitment more seriously. Poland, for example, had written the Two-percent target in an armor of the law. Germany could, with the Insistence, during the NATO report that it was a political promise, the Alliance partners lose. “In the end, it might look as if Germany does not keep its promise,” said the TRANS-Atlantic expert Henning Riecke from the German society for Foreign policy of the DW. On the side of the Opposition one sees in the behavior of the defense Ministry, a diversion: “the Secretary of defense announced unrealistic Figures in their numerous Trend reversals for pretty headlines”, writes about the defense policy spokesperson of the Greens, Agnieszka Brugger. Germany’s handling of the Budget, that the question is also the fundamental question of what NATO stands for. 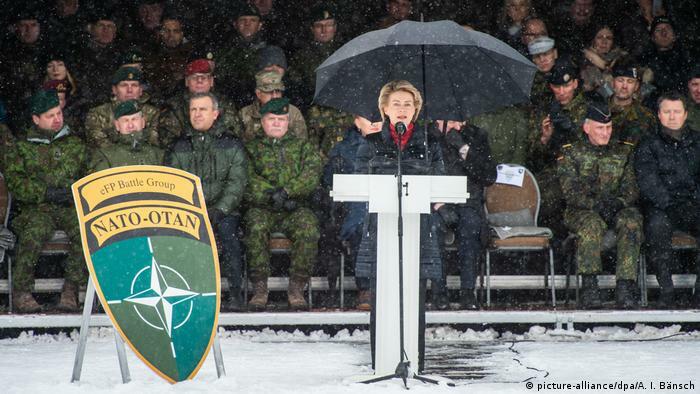 During your visit to the German NATO missions in the Baltic States, defence Minister Ursula von der Leyen reiterated the loyalty to the Alliance by the partners. “The continuity of our commitment within the NATO-Alliance is a high value,” said government spokesman Steffen Seibert in Berlin. “That capacities and capabilities are more important than abstract issues, not is true, but in Germany,” said Gustav Gressel from the European Council for Foreign Relations of the DW. “But it’s much more useful than abstract output sizes running after.” By this reasoning, Berlin, Brussels, and NATO must convince the Partner, but still.